The Visalia Public Cemetery Board of Trustees is a five-member board. The trustees are appointed by the Tulare County Board of Supervisors to four-year-terms. The trustees use their time, talents and expertise from varied backgrounds to serve the Cemetery District and the families who honor the cemetery. The Trustees are responsible for setting prices, rules and policies that govern the Cemetery, all within the scope of the California Health and Safety Code, which governs all public cemetery districts. This special district and its’ board are members of the California Association of Public Cemeteries (CAPC) and California Special District Association (CSDA). Locally, the district and it’s board of trustees are members of the Visalia Chamber of Commerce, the Tulare-Kings Hispanic Chamber and Pacific Employers. 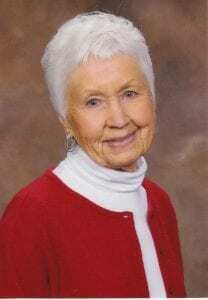 Pat and her husband, Bob, moved to Visalia in 1960 and became active in the community while raising their three children. Seven grandchildren and two great grandchildren were born beforeBob’s death in2015. The family attended St. Mary’s Parish, where Pat served as president of George McCann Home & School Association, President of the Altar & Rosary Society, member St. Mary’s Board of Education, member and Vice Chair of Catholic Daughters, Vice Chair, and Instructor of Pre-School of Religion. 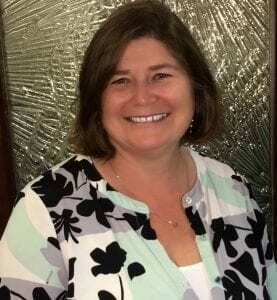 Pat’s career experience involved a wide array of professional experiences, chief of which was serving as Assistant to the Director for Tulare County Mental Health Administration. Her duties included program planning, budgeting, contract development and negotiations with service providers, monitoring, and evaluation She prepared and presented contracts to the Tulare County Board of Supervisors for approval and reviewed and made recommendations regarding proposed mental health legislation. San Joaquin Valley College awarded Pat Honorary Faculty Member status 1991. She also received awards from Soroptimist International 1993, State of California Assembly 1994, United Way Advocate of Year 201o, Tulare County Board of Supervisors Recognition for work with Turning Point of Central California 2005, and Visalia Chamber of Commerce Woman of the Year L994. Tom’s health care career has spanned 46 years, beginning with work as an orderly at the University of Minnesota Hospital in 1963 to his final position as Secretary of Veterans Affairs for California, overseeing the care of 1,400 veterans in 3 State Veterans Homes from 2004 through 2009. 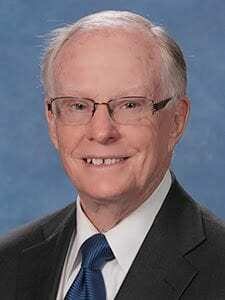 In between those two periods Tom was the Chief Executive Officer in 3 community hospitals, most importantly Kaweah Delta District Hospital in Visalia where he served for 29 years; 21 as the CEO. While there, Kaweah Delta was recognized as the top hospital in the nation in 2000 for excellence in community service. 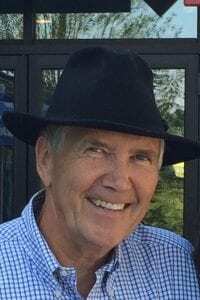 Tom has been active in numerous local or statewide organizations including the Boys and Girls Club of the Sequoias, Visalia Breakfast Rotary, Health Impact, First Presbyterian Church. In 2000 Tom received the Good Scout Award from the Boy Scouts of America and in 2009 the California Legion of Merit Medal from the Military Department of the State of California. Tom was named as Visalia’s Man of the Year by the Chamber of Commerce in 2016. Tom holds a BA Degree from the University of Minnesota and an MPH Degree from UCLA. Tom served in the U.S. Army on active duty from 1967 to 1970 and in the reserves from 1970 to 1973. Tom is married to Betty, a retired teacher at Highland Elementary School. They have been married for 49 years and have 3 children and 9 grandchildren. 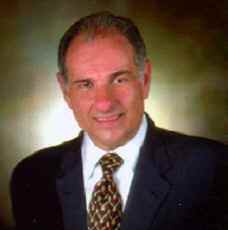 George J. Ouzounian graduated from Fresno State University with a Bachelor of Science degree in Accounting in 1971. George worked for N. N. Sheklian, CPA’s form 1971 to 1975. Auditing Kaweah Delta District Hospital, Cities of Visalia and Woodlake, and five local school districts, plus preparing thousands of tax returns, gave George the accounting skills he has used throughout his career. After four years of public accounting, George joined his family’s furniture business, Ouzounian Furniture Center and was named Chief Financial Officer of the corporation now named Ouzounian Corporation. George also functioned as Operations Officer at Ouzounian Furniture Center; George supervised twenty-five employees for fifteen years, hiring and training hundreds of employees in the process. In 1983, the Furniture Center was located on two display floors totaling thirty-two thousand square feet and a warehouse totaling fifteen thousand square feet. As a regional retailer, Furniture Center occupied 12% of the furniture business in Tulare and Kings Counties. In 1989, the family made the decision of closing both stores and converting these locations to general retail and office buildings. In 1992 George became a real estate broker. Licensed in California, George holds a California Real Estate Broker’s license and currently practices as a commercial real estate broker in Tulare and Kings counties. In addition Mr. Ouzounian owns and manages 45,000 square feet of retail and office space in Visalia, California. In 2000, George joined the national real estate brokerage firm of Sperry Van Ness. In 2003 George represented the owners of ten apartment complexes totaling twelve hundred in one of the largest apartment sales in Fresno County history. The sale totaled Twenty Seven Million Dollars. At the time this was the largest transaction in the history of Sperry Van Ness and earned George a membership in the Partners Circle in 2003. George has built four new properties and remodeled five existing properties over the past forty years. In that time, George has constructed build to suit retail, medical, restaurants and office buildings for local, regional and national tenants. In 1999, George was the founder and President of Modal Software Corporation. Modal provides a preparatory software application to companies nationally as a SaaS, (Software as a Service). Actionrev.com software is written with Ruby on Rails, is processed by Heroku,(IPP) and hosted by Amazon. Mr. Ouzounian is currently the Chairmen of the Tulare County Assessment Appeals Board, and Board member of Golden State Risk Management Authority. Geneva Philpot has served on the Visalia Public Cemetery District (VPCD) as Trustee for the past 20 years. Bill Maze the County Board of Supervisor at the time was at a social function at the same time as Geneva and asked her if she would like to service on a board, being the eager beaver, she replied “yes, which one”, and the rest is history. She works hard to keep current with all laws and regulations as they pertain to Public Cemeteries. Having a tenacity to learn on an ongoing basis is what it takes to be knowledgeable about the job that you need to do. She attended the California Association of Public Cemeteries (CAPC) meetings, as a result Geneva was elected to serve on CAPC Board six times, serving as president 2004-2005. Her work background was as Automotive Business Manager Accountant for 30 plus years, retiring in 1995. Geneva was State President of the California Business and Professional Women. Through BPW she took and then taught individual Development classes on public speaking and building confidence in women. 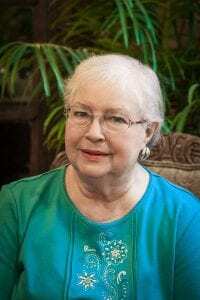 She served on the first Transportation Committee for the City of Visalia, served on the Visalia Times Delta Editorial Board in 1995 and as Emeritus in 1998. Geneva is never one to shy away from a challenge, always ready to learn something new, and to share her knowledge with others. Mr. Link was born and raised in Visalia. He attended Visalia schools, the College of Sequoias, and graduated from Fresno State with a B.S. degree in Marketing. He served six years in the Air National Guard. He is retired from his family business, Link‘s Men’s & Women‘s Wear which his father Joe Link started in 1941. Mr. Link’s wife Ordonna retired from teaching at Royal Oaks and Hurley elementary schools after 35 years. His two daughters Kelly and Julie both teach for Visalia Unified School District. Mr. Link has served on the Advisory Board for the Superintendent of Visalia Unified Schools, is a past board member for the College of Sequoia‘s Foundation, and a past recipient of the Phi Delta Kappa “Friends of Education.” He was selected as Visalia’s Man of the Year by the Visalia Chamber of Commerce, a recipient of the Distinguished Citizens Award by the Boy Scouts, and was inducted into the College of the Sequoias Hall of Fame. He is a CASA Advocate and is past president of the Visalia Host Lions Club. He is past chairman of the Visalia and the California Parks and Recreation Commission, the Visalia YMCA, the Visalia Rescue Mission, and the Downtown Visalia Merchants Association. Mr. Link is past Moderator of the San Joaquin Presbytery. Presently Mr. Link serves on the board of the San Joaquin Presbytery made up of twenty Presbyterian Churches in the San Joaquin Valley. He is also chairman of the Tulare County Historical Society and serves as a trustee on the Visalia Public Cemetery Board. He has been a member of the Tulare County School Board since 2012. His hobbies are golf, snow skiing, and travel. Cindy Summers a Visalia resident for over 35 years has been married to her husband Brian for 30 years. They have 3 children including Kyle, deceased 1991, daughter Caitlin is working on her Masters at McDaniel College in Maryland, and son Cameron is a Lance Corporal in the United States Marine Corps. For 29 years Cindy worked for TUCOEMAS Federal Credit Union in several management capacities, the last 12 years as the Vice President of Human Resources. She currently serves on the Board of Directors for the Parenting Network. Cindy spent many years volunteering her time at Mt. Whitney High School for FFA, Wrestling, Softball and Football Boosters. She is a 2001 graduate of Western CUNA Management School. She received certificates from The Council on Education in Management in association with George Washington University, in Human Resource Management in 2003 and in Internal Investigations in 2008. In 2014 Cindy earned designation of Certified Senior Executive from the CUES School of Applied Strategic Management. Cindy was a member of SHRM Tulare/Kings County and previously served on their Board as Treasurer & has been a member of Visalia Employer Advisory Counsel.